It’s September, and many of us have automatically shifted into the “back to school” mindset despite having been out of school and in the workforce for however long. The fall season can be a little bit of a reality check – it reminds us that the year is 75% over, and pushes the things we want to accomplish by December 31st to the top of our lists. With that in mind, it seems like a great time to revisit some advice we received from Jennifer Gray, founder and President of Market Street Talent, early in 2017 about goal setting. Best of luck as we all reach the final stretch of 2018! Whether it’s getting a raise or getting in shape, goals can get complicated. It’s easy to get caught up in what you think you should be working towards, rather than staying focused on what you actually want. Jennifer reminds us to feel connected to our lists of objectives. “Goals should ‘speak’ to you, and be something that is important to YOU, regardless of the latest fad.” The pervasiveness of social media often plays a role here, sparking comparison and feelings of inadequacy. Remember to keep your focus on the things you’d like to improve on or accomplish, not the things you see others doing that don’t really matter to you. It might seem like a great idea to get all of your goals on paper and in action at one time. However, making a long list of everything you’d like to achieve and trying to do it all in the same time frame is a recipe for defeat. “Three to five goals is a good number,” says Jennifer, “or even just one really important goal.” The feeling of accomplishment when you cross something off your list will motivate you to keep working on the rest of your goals – and to make another list when you finish the first one! Some goals are inherently broad. “Eat healthier,” “Get in shape,” and “Find my dream job” are common objectives that mean different things to different people, and are hard to achieve without breaking down into smaller pieces. Think about exactly what you want to accomplish and narrow your goals so that they are more focused. Perhaps your goal to “Eat healthier” really means “Fill at least half of my plate with produce at each meal” and “Replace soda with water during the week.” The more direct your goals are, the easier they will be to follow through with and be accountable to. Once you set your goals, create an action plan for each one. “If your goal is to add exercise to your routine, determine which days, times and exercises you can commit to, then add to your calendar,” Jennifer suggests. Making an appointment with yourself to work towards a goal keeps it a priority in your schedule. If you look at your calendar and feel like there’s no room, remember that you’ve refined your goals list to include what matters most to you. These are worth spending time on, even if you need to shuffle other things around. Committing to your action plan is the key to achieving your ambitions. You’ve got this! 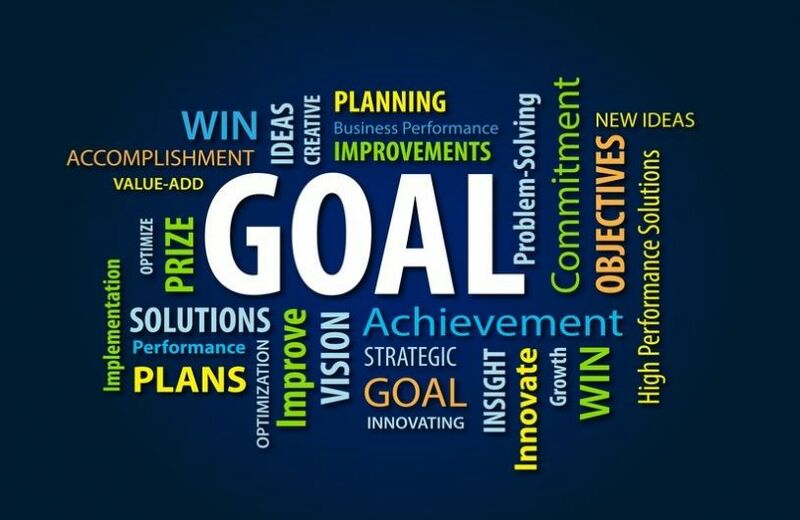 What is your strategy for goal setting? Chime in on LinkedIn, Facebook, or Twitter!